Dietary protein is required for the maintenance, growth and repair of muscle and bone, as well as all other tissues in the body. It is also required for production of hormones, enzymes, neurotransmitters, cellular buffers and the antibodies of the immune system. How much do I need as I get older? 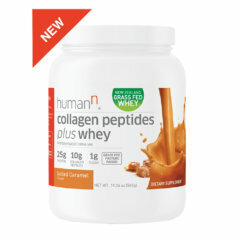 The daily recommended allowance (RDA) for protein is 0.36g/lb. body weight. For example, if you weigh 160 lbs., you would need a minimum of 58 g (about 2 ounces) of protein each day. The actual daily protein needs, however, are influenced by your physical activity pattern, body type, diet and age. Individuals approaching 45 to 50 years of age may need as much as twice the RDA (1). So, if you weigh 160 lbs., you may need as much as 116 g (about 4 ounces) of protein per day rather than the normal RDA of 58 g.
Why did we include three types of protein? 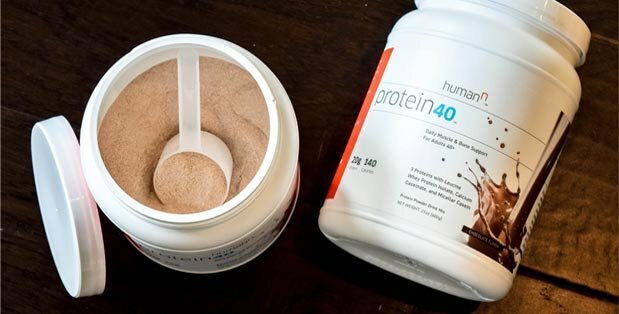 Protein40 is composed of three complete proteins (meaning each protein contains all of the essential amino acids) and is designed to be absorbed over a sustained period of time to help promote prolonged protein synthesis. 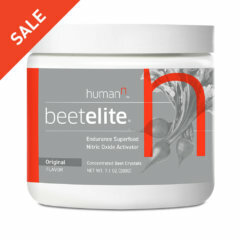 How can I get it in my diet? Lean beef, fish, poultry, milk, cheese, yogurt and eggs are all animal derived protein sources. Plants such as soybeans, peas, and quinoa are also excellent sources of quality protein. Ideally, protein consumption should be spread out equally throughout the day with each meal providing a minimum of ~ 20 grams of protein. Why is it important to get enough protein as I get older? Getting enough protein in the diet, especially as we age, is important to support muscle mass and strength, bone health, immune function, and energy levels. Leucine is an essential amino acid, meaning it can only be obtained by the body though the foods you eat because your body cannot produce it. Leucine is a key activator of protein synthesis and therefore is critical to stimulating tissue growth and repair. There is no RDA for Leucine. However, to activate protein synthesis following a meal, between 2 to 4 grams of Leucine should be consumed either as part of the foods we eat or as part of a dietary supplement. With increasing age there is a greater requirement for Leucine (5). 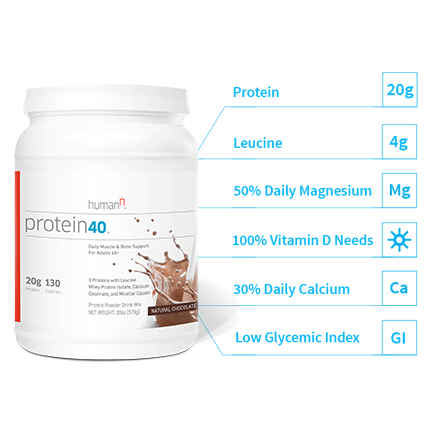 Leucine is included in the Protein40 formula to ensure that protein synthesis after supplementation (6) is as optimal as possible. Leucine is found in high concentration in milk and other dairy products, beef, eggs and fish, as well as in soy and pea. Why is it important to get enough leucine as I get older? Leucine is a major activator of protein synthesis. Therefore, having low levels of leucine could have similar results to that of consuming an inadequate amount of protein. Simple sugars is the major form of energy used by the body, and the only form of energy used under normal conditions by the nervous system. As apposed to sucrose, isomaltulose is a sugar alcohol that is digested slowly and steadily by humans, helping to provide more sustained energy. Isomaltulose also is not a substrate for oral bacteria and therefore does not promote tooth decay like sucrose does. Sugar alcohols are known to help reduce dental carries. It also reduces protein breakdown indirectly by causing the secretion of insulin from the pancreas. Insulin is essential in the body’s protein synthesis process. Cane sugar is added to support a small insulin response while maintaining a low glycemic index for Protein40. 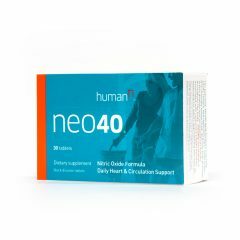 Insulin reduces protein breakdown, thereby complimenting the increase in protein synthesis with Protein40 and facilitating tissue repair and development at the cellular level. Sugar is readily available in a normal diet. 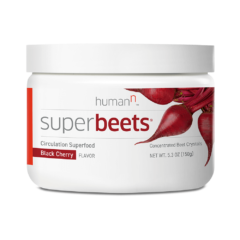 Chromium is a mineral the body uses for normal body functions such as digesting food, and maintaining normal blood glucose levels. Males need between 25 to 30 micrograms per day and females 20 to 25 micrograms per day. With age the chromium requirement increases (8). Chromium supports the metabolic actions of insulin and helps insulin attenuate protein breakdown. Chromium occurs naturally in many foods including meats, potatoes skins, cheeses, molasses, spices, whole-grain breads and cereals, and fresh fruits and vegetables. Vitamin D3 (Cholecalciferol) is important for the absorption of calcium and for the functioning of calcium in the body. Proper levels of Vitamin D are also important for muscle strength and supporting immune health. This depends on how much sunlight you are exposed to. However, generally 600 to 2,000 IU per day is normal depending on age. Most Vitamin D is actually synthesized in the skin in the presence of sunlight. Vitamin D can also be obtained from eggs, dairy products, fish, oysters and cod liver oil. Many foods, such as milk, may also be fortified with vitamin D.
One should consume between 200 and 400 mg of magnesium a day. Magnesium is included to facilitate the conversion of Vitamin D3 to its active form. Magnesium also stimulates the hormone calcitonin, which supports bone storage of calcium. Magnesium can be found in a wide variety of animal and plant products including nuts, beans, green leafy vegetables and whole grains. As well as being a major component of bone, calcium is required for nerve transmission, muscle contraction and many other metabolic processes in the body. If the body does not get sufficient calcium, it is removed from the bone to meet its general metabolic needs for calcium. It is recommended that men get 1000 mg of calcium per day, while women should get 1200 mg per day. Calcium is included as calcium caseinate, a readily digestible form of calcium and tricalcium phosphate. Diary products such as milk, cheese and yogurt are good sources of calcium. Other sources include spinach, kale, white beans, salmon, and fortified foods such as breakfast cereal. Dietary fiber is the part of plant-based foods that cannot be broken down by the body’s normal digestive process. 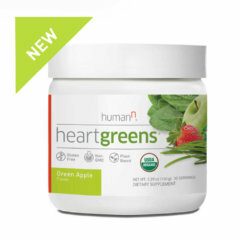 It passes through the body undigested, keeping your digestive system clean and healthy, supporting normal bowel movements, and flushing cholesterol and harmful carcinogens out of the body. On a daily basis, men need about 38 grams and women about 25 grams of fiber per day. 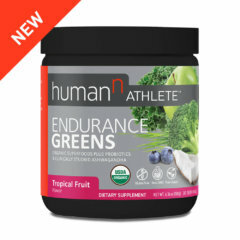 It is included to help one meet his or her daily fiber requirements and to stabilize the ingredients in Protein40. Excellent sources of fiber are beans, peas, artichokes, whole wheat flour, barley, bran, raspberries, blackberries and strawberries. Other sources include dark leafy greens, okra, broccoli, sweet potatoes, carrots, cabbage, corn, bananas and apples. Wolfe RR et al. The role of dietary protein in optimizing muscle mass, function and health outcomes in older individuals British Journal of Nutrition 108 Suppl 2:S88-93. doi: 10.1017/S0007114512002590, 2012. Tang JE, et al. Ingestion of whey hydrolysate, casein, or soy protein isolate: effects on mixed muscle protein synthesis at rest and following resistance exercise in young men. Journal of Applied Physiology 107:987-992, 2009. Boirie Yves, et al. Slow and fast dietary proteins differently modulate postprandial protein accretion. Proceedings of the National Academy of Sciences 94:14930-14935, 1997. Phillips SM. A comparison of whey to caseinate. American Journal of Physiology Endocrinology and Metabolism 300:E610 doi: 10.1152/ajpendo.00647, 2010. Rieu I, et al. Leucine supplementation improves muscle protein synthesis in elderly men independently of hyperaminoacidaemia. Journal of Physiology 575:305-315, 2006. Churchward-Venne, TA, et al. Leucine supplementation of a low-protein mixed macronutrient beverage enhances myofibrillar protein synthesis in young men: a double-blind, randomized trial. American Journal of Clinical Nutrition 99:276-286, 2014. Wolever T M & Bolognesi C. Prediction of glucose and insulin responses of normal subjects after consuming mixed meals varying in energy, protein, fat, carbohydrate and glycemic index. The Journal of Nutrition, 126:2807-2812, 1996. Institute of Medicine, Food and Nutrition Board. Dietary Reference Intakes for Vitamin A, Vitamin K, Arsenic, Boron, Chromium, Copper, Iodine, Iron, Manganese, Molybdenum, Nickel, Silicon, Vanadium, and Zinc. National Academy Press, Washington, DC, 2001. Rude RK. Magnesium. In: Ross AC, Caballero B, Cousins RJ, Tucker KL, Ziegler TR, eds. Modern Nutrition in Health and Disease. 11th ed. Baltimore, Mass: Lippincott Williams & Wilkins,159-75, 2012.